Featured Radiologist – Nelson C. Frink, M.D. | Sutter Buttes Imaging Medical Group, Inc.
Women’s Imaging Center Now Open! Featured Radiologist – Nelson C. Frink, M.D. Posted: November 10, 2013 | Author: admin | Categories: News. 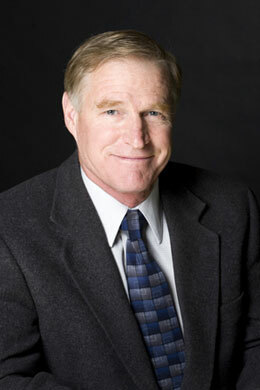 Dr. Frink has been with the practice over twenty-five years. He divides his work days between Diagnostic Imaging and his subspecialization in Interventional Radiology, which utilizes imaging to guide minimally-invasive procedures to diagnose and treat medical conditions, many of which used to require major surgery. He has been married to Jan Frink for over thirty-three years, and they raised their three children here in the Yuba Sutter community. Dr. Frink is a member of St. Andrew Presbyterian church in Yuba City. His local volunteer activities include former Scoutmaster of Boy Scout Troop 6 in Yuba City, multiple trips with the Yuba-Sutter Mexico Mission youth trip to build houses for needy families and other local youth activities. Dr. Frink is an outdoor enthusiast and enjoys having so many activities available in our area, including hiking, skiing, hunting and fishing. He is a cyclist, including bicycle racing in the past, but now sticks with recreational road and mountain biking. Dr. Frink also enjoys kiteboarding at the Thermalito Afterbay and in the Sacramento Delta with his grown sons.